Focus Breathing is a phenomenon that causes the focal length of an image to change as the focus setting of the lens is being adjusted. As a product of internal design, a prime lens with a fixed focal length can be just as prone to breathing as a zoom lens can. 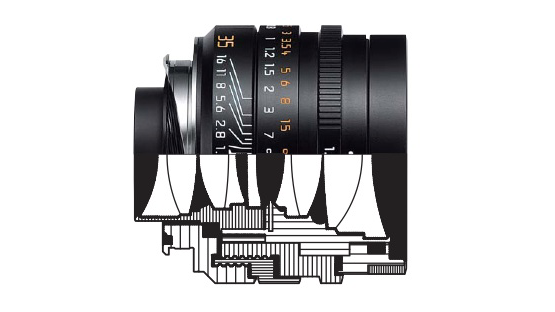 Focus breathing is unfavorable in narrative film making and breathing lenses are considered to be inferior to lenses. Opinions are strong that lenses should be internally designed to not image-shift when the focus is adjusted to preserve image consistnecy. Focus Breathing is a phenomenon that causes the focal length of an image to change as the focus setting of the lens is being adjusted. As a product of internal design, a prime lens with a fixed focal length can be prone to breathing just as a zoom lens can be prone to breathing as well. Breathing lenses are considered to be inferior to lenses that are internally designed to not image-shift when the focus is being adjusted. Lens Breathing can be a very subtle image shift that may go unnoticed, or in some situations can become a very obvious distraction depending on the viewers perception and whether the scene being captured would serve better to have the image remain unzoomed as focus is changing. A Varifocal lens is a lens that by it's design is subject to the focal length changing when the focus is adjusted. A Parfocal lens is a lens that has been specifically designed to keep the Focal length fixed as the focus is adjusted. A prime lens is a camera lens that has a fixed focal length. Prime lenses are generally capable of wider apertures and are considered to render a higher quality image to the camera sensor when compared to a zoom lens. A Zoom lens is an adjustable focal length lens that ranges within the predetermined focal lengths of it's design. The zoom lens contains an arrangment of lens elements that can change position in relation to one another, allowing you to change the effective focal lenth reaching the camera's image sensor.